Mike Tyson (arguably one of the greatest fighters of all time) will be making his debut in the Octagon in +EA SPORTS's UFC2.
" 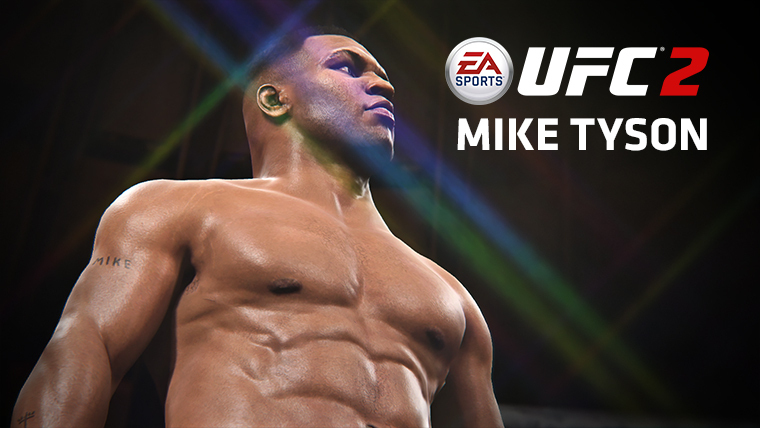 One of the most iconic athletes of all time is coming to EA SPORTS™ UFC® 2. 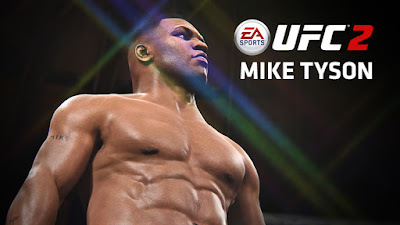 Electronic Arts announced today that Mike Tyson will make his mixed martial arts debut as an unlockable fighter when the game comes out starting March 15, 2016. Fans who pre-order EA SPORTS UFC 2 will get instant day-one access to Tyson, and all players can unlock him by progressing in the game and making it to the Hall of Fame in Career Mode. The former undisputed heavyweight boxing champion of the world packs the strongest punching power of any fighter in the game and will fight across two different weight classes: light heavyweight and heavyweight. For a first look at the former champ in EA SPORTS UFC 2, watch the Mike Tyson reveal video. Two versions of Tyson are coming to the game: “Iron” Mike Tyson based on his climb to stardom and string of invincible fights in the eighties; and “Legacy” Mike Tyson, developed with the end of his illustrious career in mind. Fans who pre-order the standard edition of EA SPORTS UFC 2 will get day-one access to “Iron” Mike Tyson. Those who opt for the Deluxe Edition will receive both “Iron” Mike as well as “Legacy” Mike Tyson. Both versions are available to unlock by progressing in the game. I've never been a huge fan of MMA games but EA is catching my attention with their "What If" scenarios. I'm curious to see who else they may add to this game. Is Sega working on a new Sonic Adventure Game?